We Love Christmas in Texas! 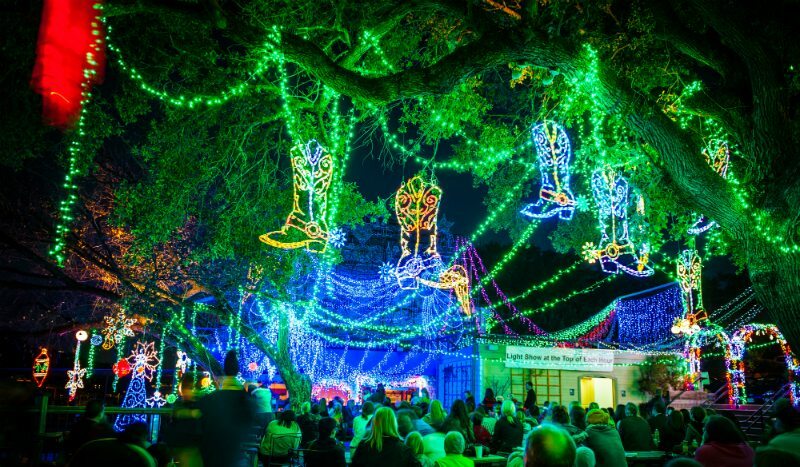 The “All About Texas Christmas Lights” Photo Contest started in 2011. Most everyone in Austin knows that Mozart’s Coffee Rosters is known for it’s annual over-the-top Christmas displays. Their large deck overlooking Lake Austin is a winter wonderland for all ages. It’s a favorite backdrop for family holiday photos and the perfect spot to get a cup of hot chocolate and get into the spirit of Christmas. The owners of Mozart’s and it’s neighboring restaurant, Hula Hut love the holidays, festive lights and everything that goes with it. Texas is a big state and we knew there were lots of great Christmas lights photos that we were missing. Since we didn’t want to exclude anyone (and we didn’t want to miss out on any great photos), we decided that a state-wide photo contest would be the perfect solution.